Eight years ago I met a magnificent young lady whose life force was stronger than anyone else's that I've encountered. Her name is Lisa Howard and you may remember her because you directly added to the quality of her life. Stricken with a fatal disease at age 12, Lisa was able to hang in there until she received a double lung/heart transplant on August 15, 1993, thanks to you. Do you recall the small sum of $250,000 you collectively raised that made her transplant possible? Lisa carried that memory with her until the fated day of March 3, 1999, when she passed away. Diagnosed with chronic lung rejection -- those marvelous transplanted lungs she received drew their last breath. ... alas, my trite words will never accurately portray the person Lisa was. Let it be said that Lisa Howard's eulogy is the life she led and the people she inspired. She walked with grace every step of the way and I'll never forget her. Good-bye for now, Lisa. My condolences to your family and many friends. would have the chance @ a real life before she went. I MISS YOU LISA !!!!!!!! 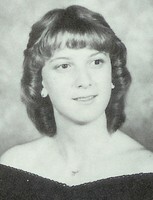 I was very honored to know Lisa and call her friend in High School. She was the reason I saw my idol Donny Osmond. I still to this day think of her every time I pass Target in Fort Worth, I remember our Trip to Dallas, and the laughs we shared. Lisa was so funny and could at the drop of a hat make you laugh. She had a very gentle spirit, she was always calm no matter what the situation. Lisa today you crossed my mind and today I smiled knowing that soon we will meet again. I was reminded today 04-13-2012 again on my dad's birthday he passed 5 years ago from this life to eternal life of how precious life is. Today I miss those who have gone on before us and reminded of them and how much they shaped and created me to whom I am today. Love you Dad and Lisa till we meet again.